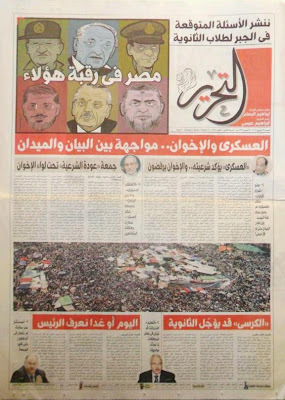 As Egypt and the eyes of the world anticipate Sunday's announcement of the Presidential election result, protests continue in Cairo and across the country. 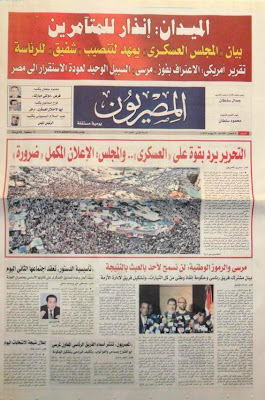 While the Muslim Brotherhood continued to dominate Tahrir Square, thousands of pro-Shafik demonstrators gathered in Nasr City. 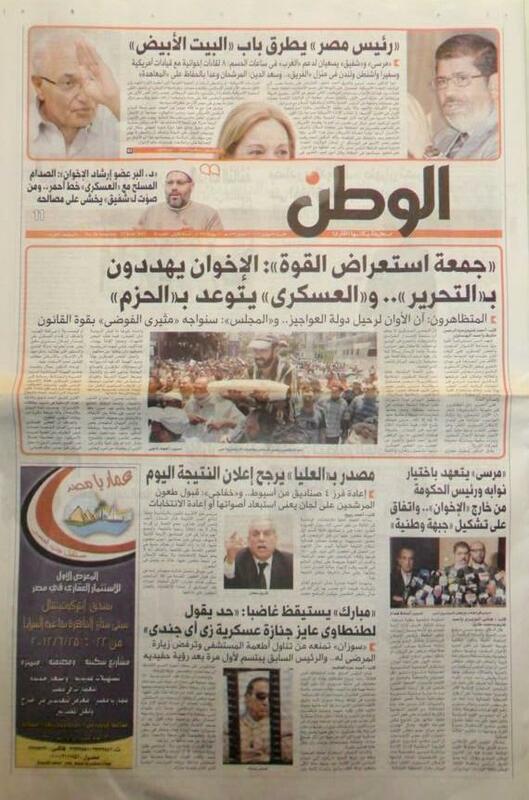 Below is a sampling of front-page headlines from the nation's Independent and State sponsored news agencies. 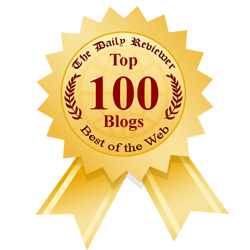 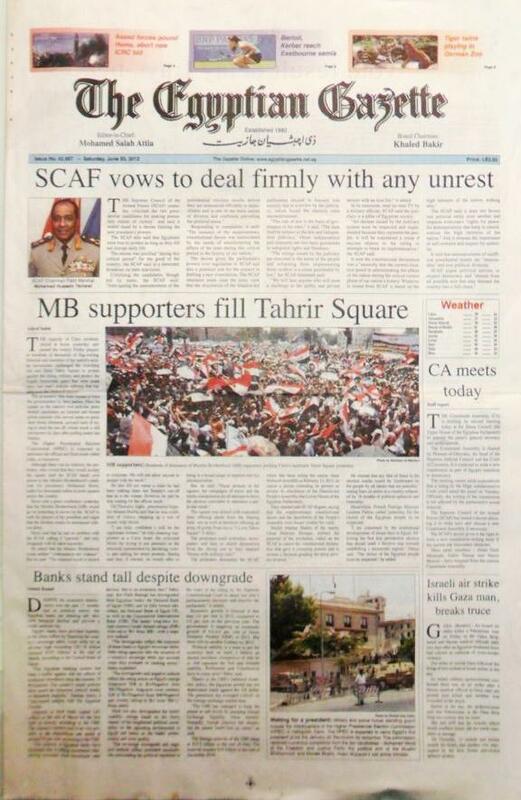 Click on any image to view larger scale. DISCLAIMER: TRANSLATIONS ARE PROVIDED AS A COURTESY AND MAY BE SUBJECT TO INTERPRETATION. 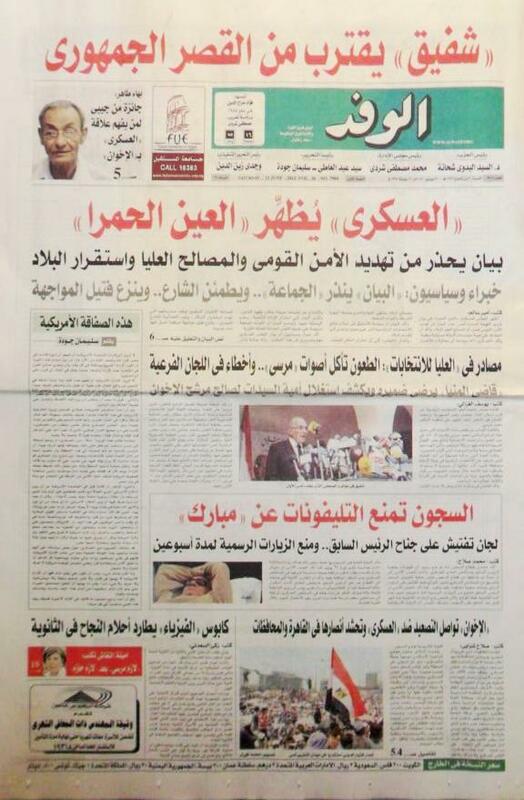 HEADLINES MAY ALSO NOT APPEAR IN THE SAME ORDER AS THE IMAGE FILES. 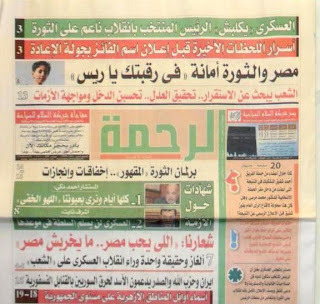 WHERE TEXT ENDS CLICK ON CONTINUE TO VIEW MORE COVERS/HEADLINES. Headlines from Cairo's independent Al-Wafd News Journal, "Shafiq is too close to the palace to be President", "Military showing red eyes for the people", "Many mistakes in voting for Morsi", "Prison not allowing media to see Mubarak". 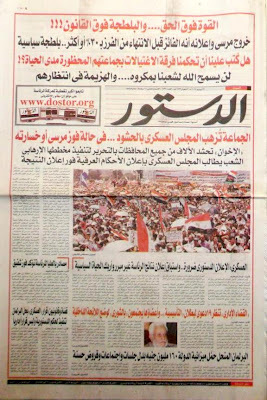 Headlines from Cairo's Tahrir, "SCAF and Muslim Brotherhood facing the High Court in the Square", "Today or tomorrow President announced". 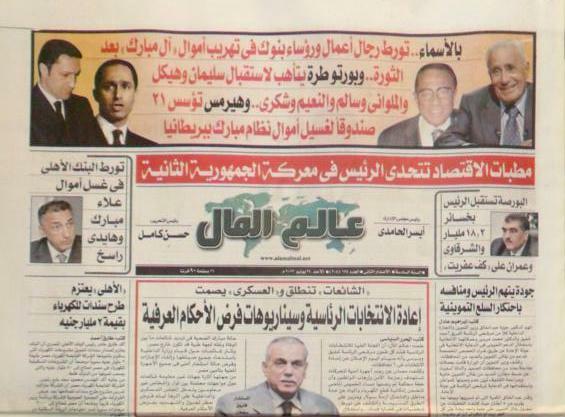 Headlines from Cairo's Independent paper Alamimal (The Money World), "Some businessmen and heads of banks helping Mubarak family send money outside of Egypt", "Tora prison ready for taking even Soliman and Haikel". Headlines from Cairo's Egyptian Gazette, "SCAF vows to deal firmly with any unrest", "Muslim Brotherhood supporters fill Tahrir Square", "Israeli air strike kills Gaza man, breaks truce". 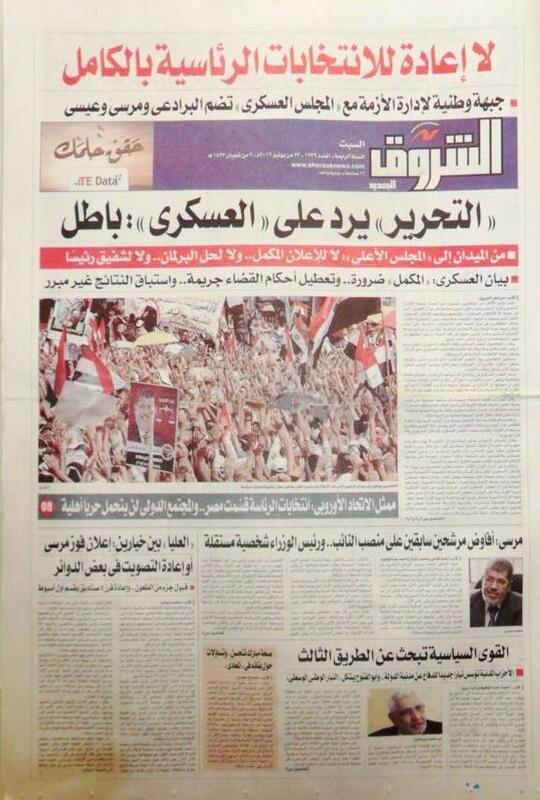 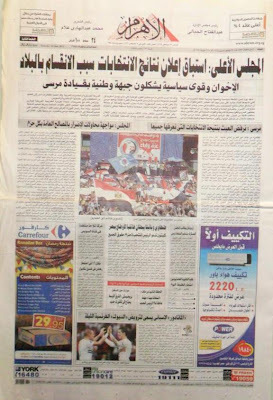 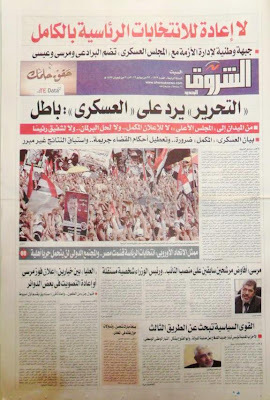 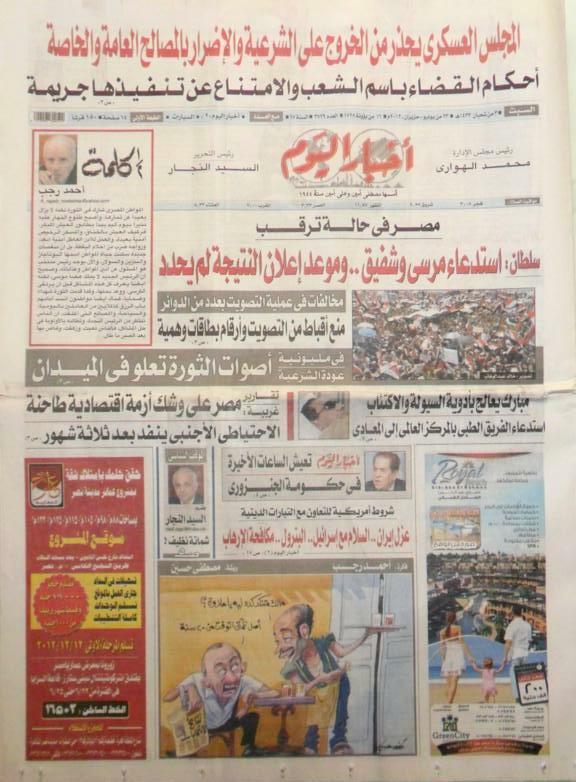 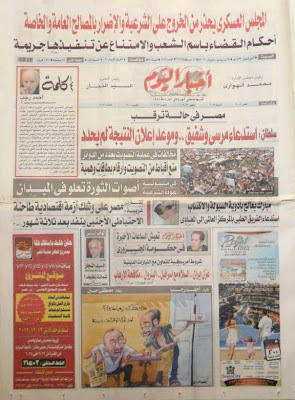 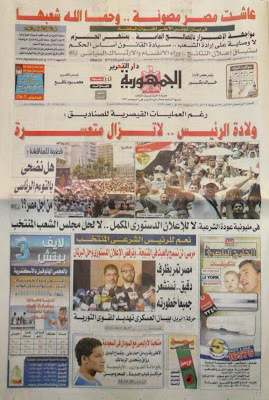 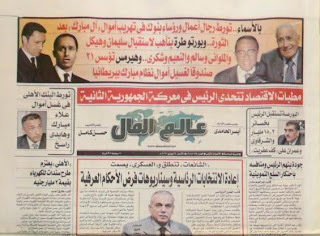 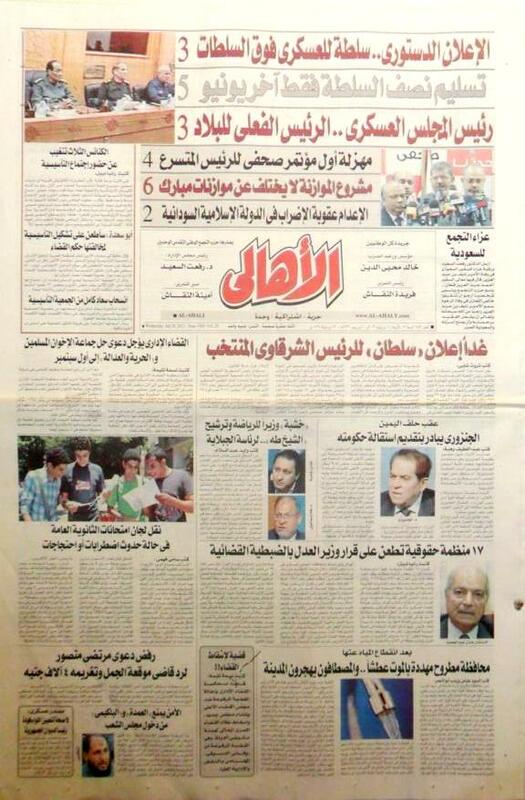 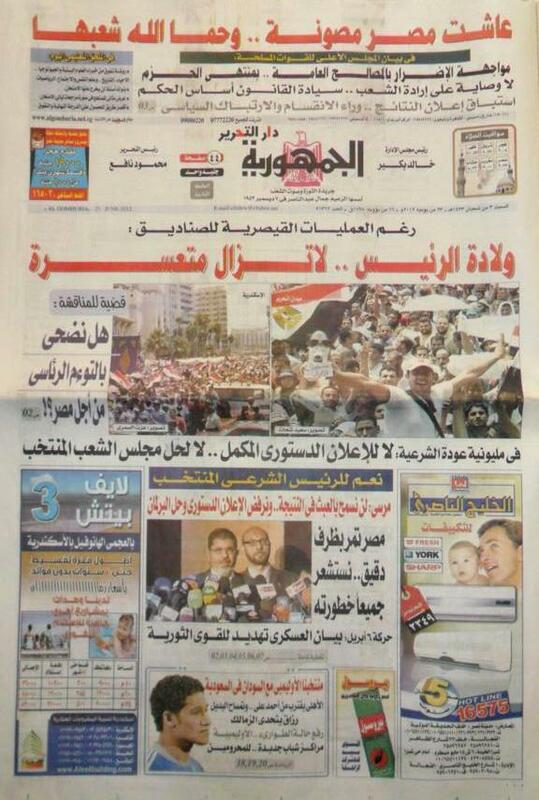 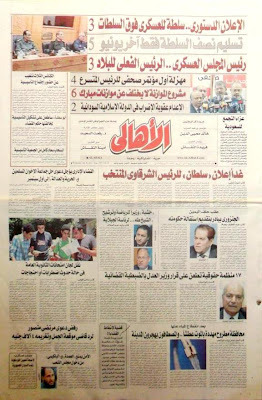 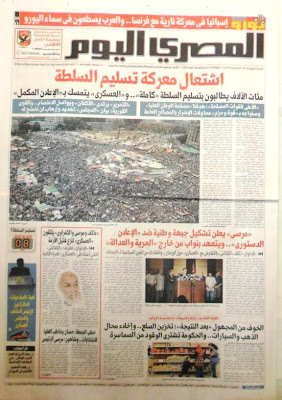 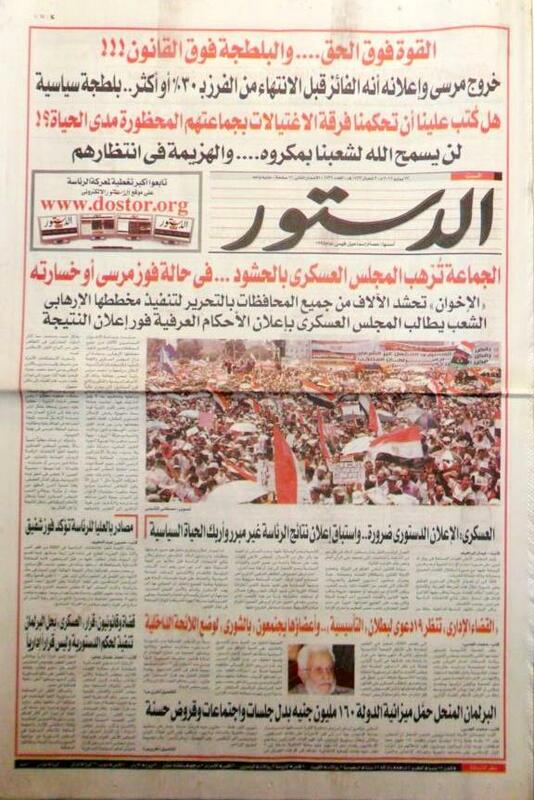 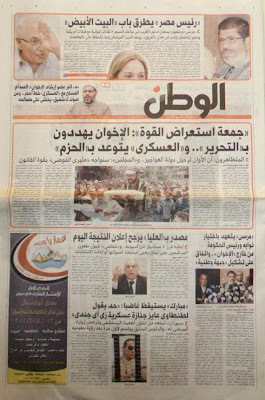 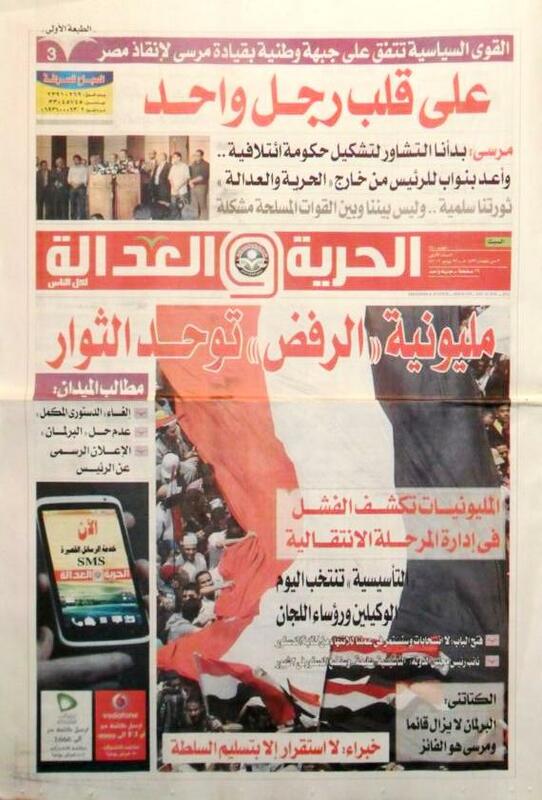 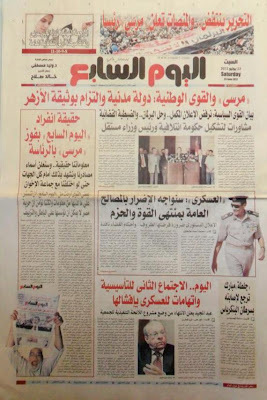 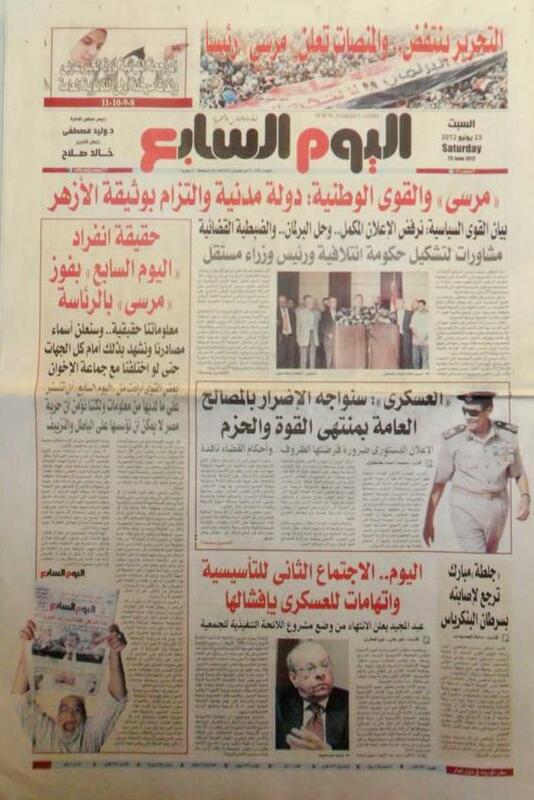 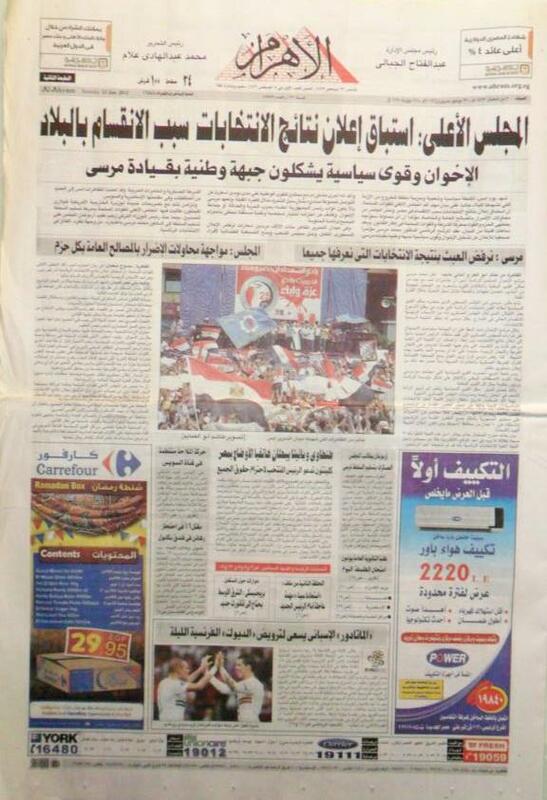 Headlines from Al Youm Al Saba (The 7th Day), "Tahrir Square announcing Morsi President", "SCAF will be against anyone threatening benefit of the country".